The first time I tried browning butter was in their chocolate chip cookie recipe. I have tried many brown butter chocolate chip cookie recipes since, but this one was flawless. On the ATK website you have to subscribe/pay to view the recipe, but I’m pretty sure this link is the same recipe that you can view for free. Probably unethical, but it’s just one recipe so I’m trying not to feel too bad about it (sorry ATK). Anyways, back to browning butter. If you have never browned butter before, go get a teaspoon of butter and brown it right now. Your whole kitchen/house/apartment will be filled with this intoxicating aroma of fatty butter slowly becoming this nutty, wonderful, diabetes-inducing liquid. Brown butter can add an underlying sweetness to savory dishes (ie. beet & brown butter pasta sauce.. recipe to follow soon) and can add another layer of toffee-coated complexity to sweet dishes. The combination of brown butter, brown sugar, and salt in popcorn created this perfect medium between kettle corn and caramel corn. Sometimes I feel like kettle corn isn’t sweet enough, but caramel corn is too sweet, so basically it is a slightly sweeter kettle corn with a nutty, rich undertone. I whipped this popcorn up in ~10-15 minutes and took it to my friend’s movie night in my “popcorn satchel” that I got from Tokyo Disneyland. This might be me getting ahead of myself, but I definitely see me going to other peoples dorms or theaters with my popcorn satchel in tow. (So basically I will be the life of the party). 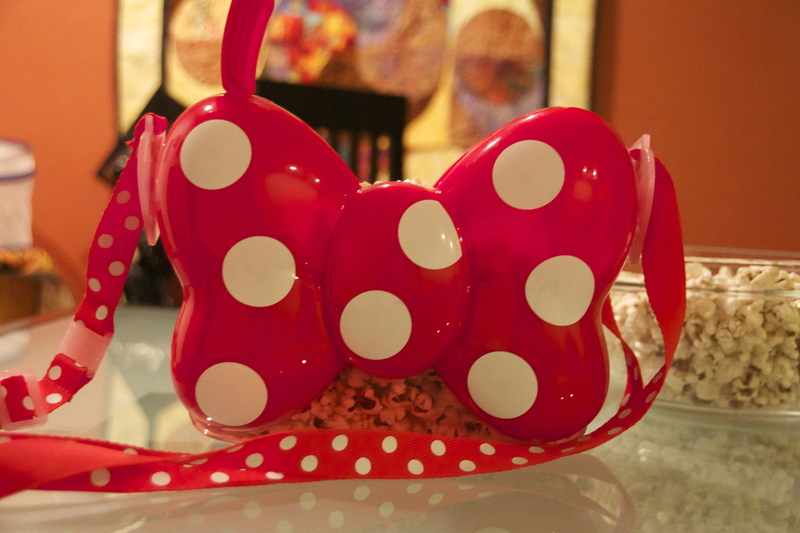 Give this recipe a shot, and if you are ever in Tokyo Disney, invest in a popcorn satchel. Heat ~1 Tbs oil in a large pot. Make sure there is just enough oil to coat the bottom of the pan. Place 1-2 kernels of popcorn in the oil while it is heating. Cover with lid. The kernel in the oil serves as an indicator for when your oil is hot enough. Once the kernel pops, the oil is hot enough. Add the rest of the kernels at this point, enough kernels to cover the bottom of the pan in a single layer. Do not overlap kernels or have multiple layers (~1/4 cup depending on pot size). Cover pot but leave lid slightly ajar to allow steam to release. 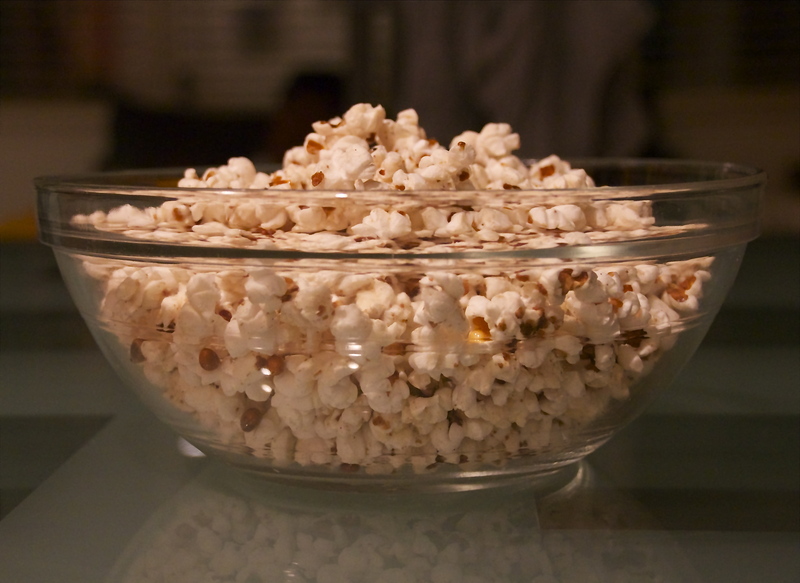 Kernels will turn a dark, golden brown before popping. 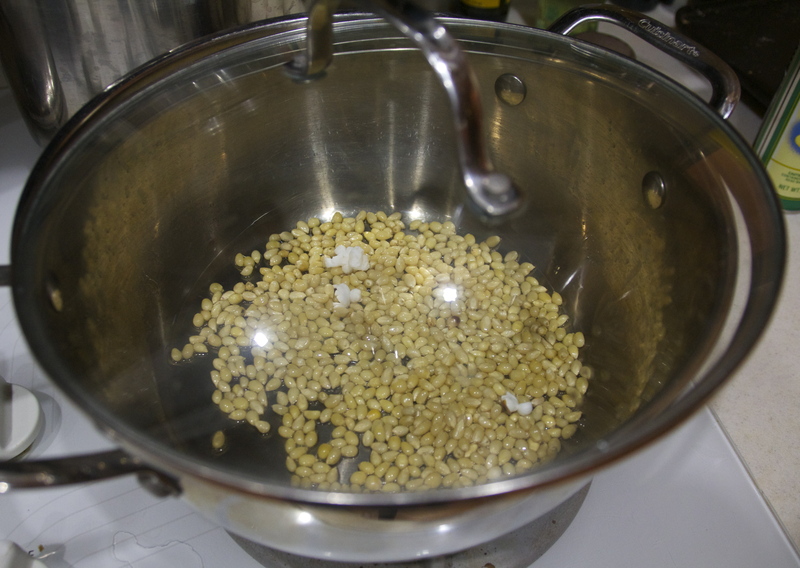 While kernels are popping, lightly shake the pot side to side every now and then to prevent kernels from burning. Once you notice a 2-3 second gap between pops, take off the heat. While kernels are popping, melt butter in a separate pan. Heat over medium heat. The butter will slowly start to brown. Keep swirling the pan and occasionally lift off the heat while swirling the pan to prevent burning. 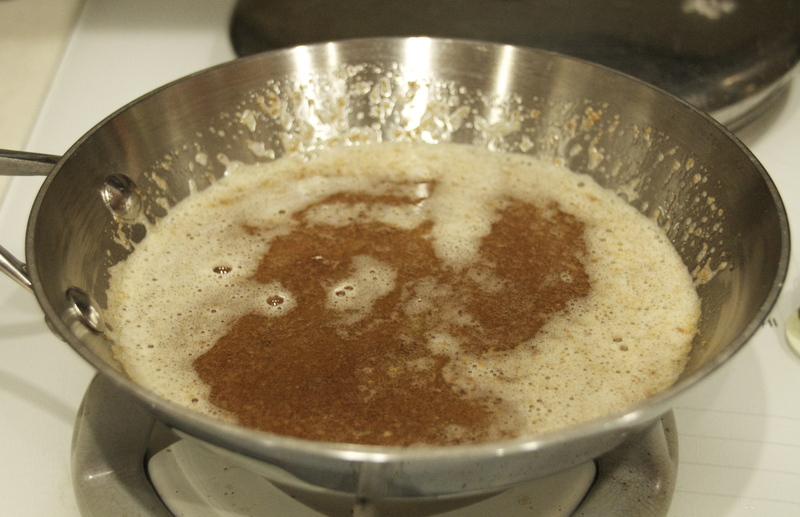 Once sufficiently browned, turn heat to low and add in brown sugar. Stir/whisk to dissolve. Add a generous pinch of salt to the butter mixture. 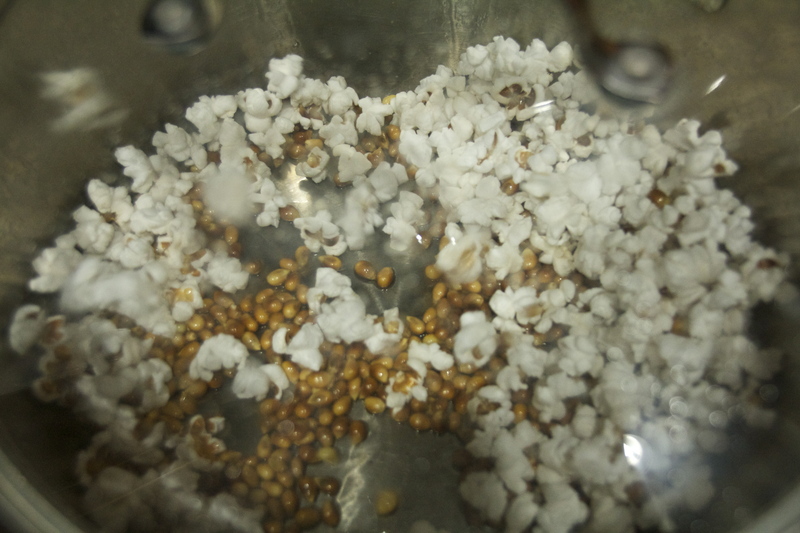 When popcorn is done, add butter in small additions to the popped kernels. Once all the butter is incorporated and thoroughly mixed, taste a few kernels. Once popcorn is to your liking, serve in a popcorn satchel or regular bowl if you must.